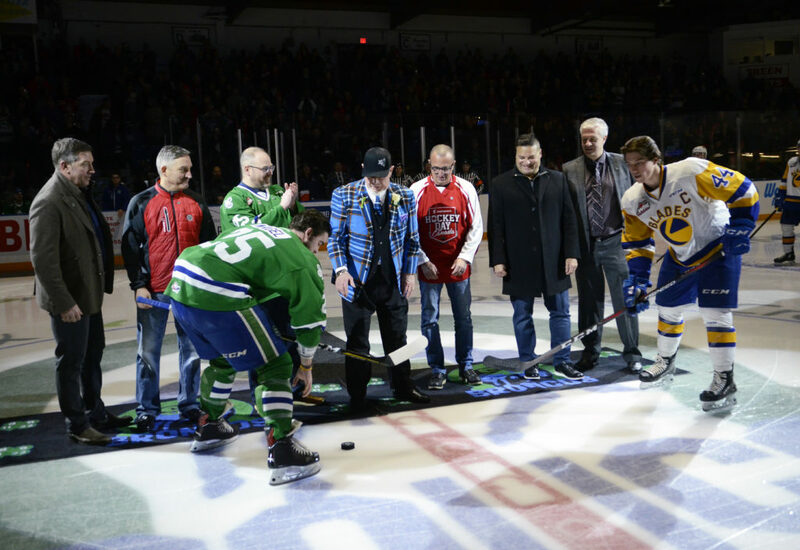 It was the third straight win for the Saskatoon Blades on Saturday night, a 4-1 victory over the Swift Current Broncos on the road. The win improves the Blades overall record to 33-13-8-0 on the year while extending their recent point streak to 7-0-2-0. 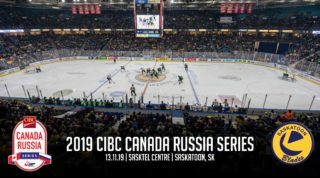 The opening period had a playoff feel in the cozy confines of the sold-out Innovation Credit Union I-Plex in Swift Current. 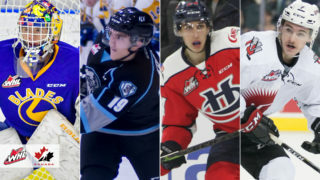 The energy sparked an early altercation just 1:12 into the game between the WHL’s two leaders in fighting majors; Saskatoon’ Riley McKay and Swift Current’s Matt Stanley. Things would settle down after that as neither team found the back of the net in the opening frame. The Blades had the only power play in the period but failed to capitalize. 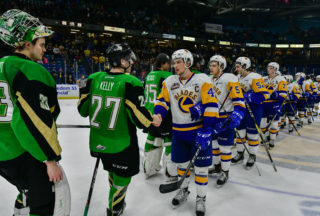 Riley McKay (9) scored what was the eventual game winner for Saskatoon midway through the 3rd period on a wraparound goal; Kristian Roykas-Marthinsen and Tristen Robins added the helpers. Max Gerlach (33) added insurance with a slick breakaway goal courtesy of Gary Haden. Then Cyle McNabb (6) put the final nail in the coffin with an empty net marker in the final minute. Nolan Maier reached career win number 50 with a 24 save performance in goal as the Blades outshot the Broncos 38-25. Saskatoon went 0/2 on the man advantage and killed off the Broncos’ only power play opportunity. Nolan Maier earned his 50th career win with a 24 save performance, sitting 3rd in the WHL with 27 wins on the season. 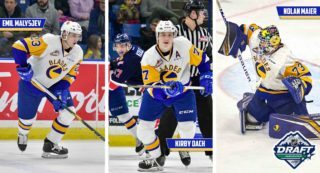 Gary Haden’s 2 point effort runs his personal point streak up to 7 games. Max Gerlach scored for a fifth consecutive game, extending his point streak to 10 games. Riley McKay gave his team energy with an early fight and was provided a physical presence throughout the game. He also scored the game winner giving the 19-year-old winger points in three straight games. 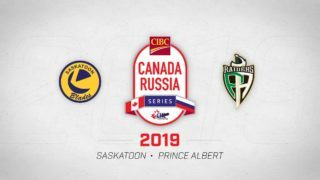 The Blades return home to host the Brandon Wheat Kings Sunday afternoon at SaskTel Centre at 4:00pm.